For every type of explorer, there is a London Explorer Pass to delight and entertain everyone in the big city! With such an array of exciting, insightful and heritage attractions to visit - a London Explorer Pass offers a flexible and fuss free way to tick everything and more off your itinerary. With guides, an app and plenty of resources online to enlighten you no end on your visit - for a trip to remember - you’re in the right place. How does London Explorer Pass work? Simply choose between 3,5 or 7 attractions to visit and these will be included with your pass. Nothing is left but to show yours on arrival and once activated, you’ll have 30 days in which to discover the big smoke to your heart’s content. Hop on a bus tour to see heritage sites, dive into the acclaimed SEA LIFE London Aquarium, or enjoy a classic visit to the London Eye. Whether you’re travelling solo, with children, a friend or other family member - there will be an attraction to suit all tastes and to wow all walks of life. With nothing but positive reviews and feedback to certify your choice online, you can rest assured that you’ll get an exceptional visit and great value for money when you opt for a London Explorer Pass. How do I use my London Explorer Pass promo code? Checkout securely with your savings. 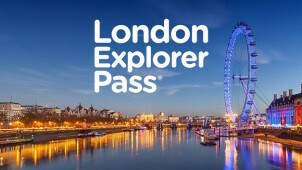 You can sign up for updates, exclusive promotions and more from London Explorer Pass via the homepage. Can I download my London Explorer Pass to my mobile? You can download and access your Mobile London Explore Pass to your Android or iOS device. How many times can I visit each attraction with my London Explorer Pass? Each pass includes one visit to each attraction. The pass will be activated at the first attraction you visit when you scan your pass. You’ll receive an order confirmation within a few minutes of completing your purchase, be sure to check your spam folder too. You will be able to pick up your pass free of charge, 7 days a week, from the collection desk in Central London. Alternatively, check online for home delivery options. London Explorer Pass offers a Standard 30-day or extended Money Back Guarantee, do get in touch via email at info@londonexplorerpass.com to request a refund. To discover London, without limits, London Explorer Pass is the way to go. Letting you get to all of the attractions and hot spots that you’d like for far less with a London Explorer Pass discount code, now you can forget forking out on those world renowned attractions. Perfect to enjoy solo, with a travel companion and with the whole family too – it’s time to make the most of your time in the big city. Whether you like to visit London on the regular, and for first time explorers too, you’ll always be able to count on the London Explorer Pass blog to offer you priceless advice on how to get the most of your trip to the big smoke. With a wealth of information online, from where to visit and when - all provided by those with insider knowledge - you’ll be sure to have an unforgettable experience each and every time you head to the capital. When we head to London town, we like to go the whole hog and opt for the 7 attractions’ London Explorer Pass option. Letting you select your favourite of the 20 attractions included, with a London Explorer Pass voucher code you’ll save on the London Dungeon, Madame Tussauds and many more exciting things to do! With both child and adult passes available - this is a firm family favourite to make memories in one incredible city.